Shortly before my third child was born, I wrote a post on Siblings and the Funnel. In it, I cautioned parents against allowing younger siblings the same freedoms as the older siblings. I talked about why it happens and what to do about it. If I thought it was difficult to parent inside the funnel with two children less than two years apart, I had no idea what I was in for with the three children, and I am sure as I sit now with a fourth child who is a newborn, I don’t know the challenges I will face with children 7 years apart. On Becoming Pretoddlerwise cautions against parenting outside the funnel, including with siblings. The authors, Gary Ezzo and Robert Bucknam, point out that we don’t want to allow 15 month olds 2 year old freedoms or two year olds 5 year old freedoms (see page 106). Why do we not want to allow children to do things that are not age-appropriate? On a physical level, children can get hurt, hurt others, and damage property. You will also see the child is very disobedient. “If you start to see that you are constantly correcting, chasing after your pretoddler, if he throws a fit when you remove an object from his hands, or you find yourself repeatedly removing your child from the same unpleasant situations, these are realistic indicators that you are parenting ‘outside the funnel’ ” (pages 106-107). You certainly can (and will) find yourself parenting outside the funnel when you have just one child. It happens. As parents we are all learning on the job. I think we notice and correct it faster with just one child, though. With siblings, we easily fall into the mistake of allowing the child to do things that are not age appropriate for her. I think we need to make a conscious effort to avoid it–and I find that more true with more children. On the flip side, always remember to give freedoms when the child is ready. If you withhold freedoms the child will be frustrated. I think this most often happens with an oldest child. You are so right Yvonne. And it gets hard with older kids because it isn't a "all 7 year olds can handle X freedom." They are so different–as are individual circumstances. There is a lot of trial and error. Great topic! Can't wait for next week! 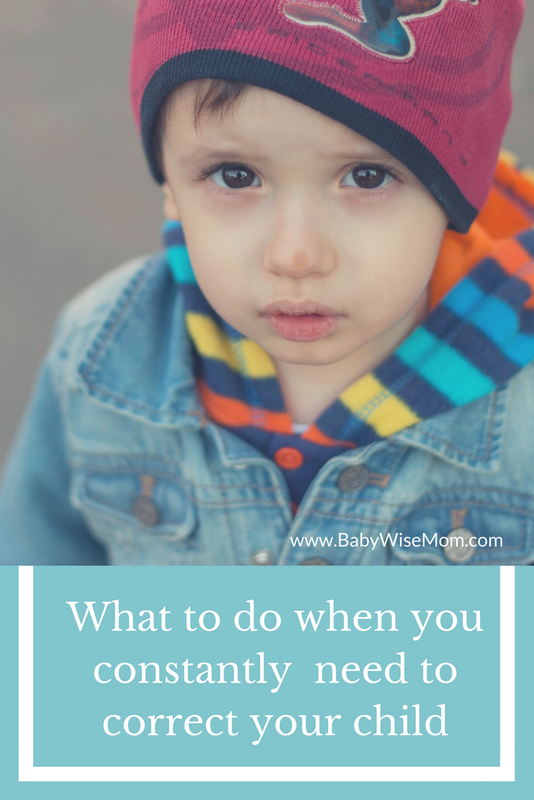 I have a very fustrated 2.5 year old who wants to do everything his 4.5 yr old brother does and I'm sure it will be even worse when my baby (now 14 weeks!) Will be in the mix! I am so greatful for your blogs and advice! I enjoyed this post very much! I never really thought about this, but it makes so much sense, esp. now with baby#2 on the way. I agree with Yvonne that it's hard to work on this until you've already made a mistake and recognized it. With that said, somehow I am better at this (I think! maybe?) with our second son than our first. I was so inexperienced with the first! This time around it seems easier, but then again, like Val said, the variables increase with more different personalities. Sometimes our younger guy objects and sometimes he uses his fairly strong will, but he has grown up used to not getting to do everything his brother does or play with everything his brother does and he usually accepts it as normal. It helps to have separate rooms! Who knows what will happen in the complex preteen and teen years with two boys three years apart.